I absolutely love when couples choose to do adventurous wedding photos with us somewhere meaningful to them! 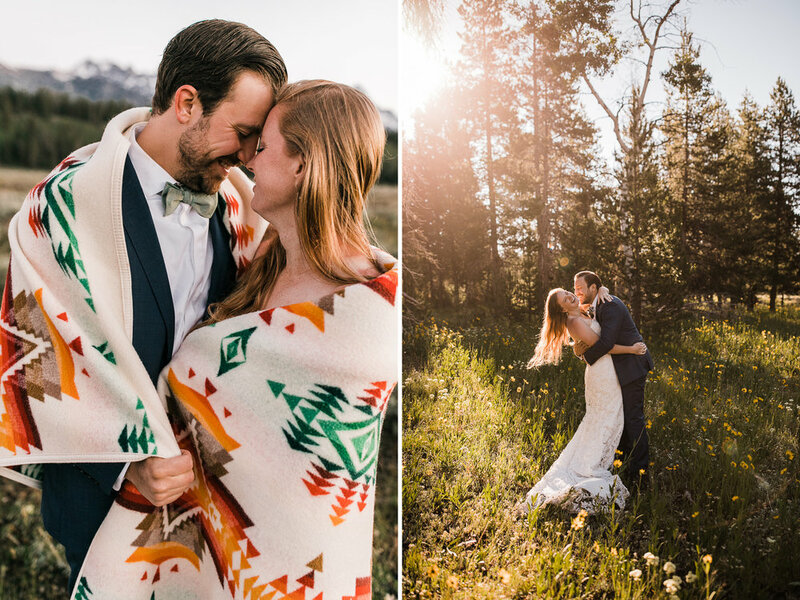 Tara and David met in Jackson Hole when they were both working in Grand Teton National Park. 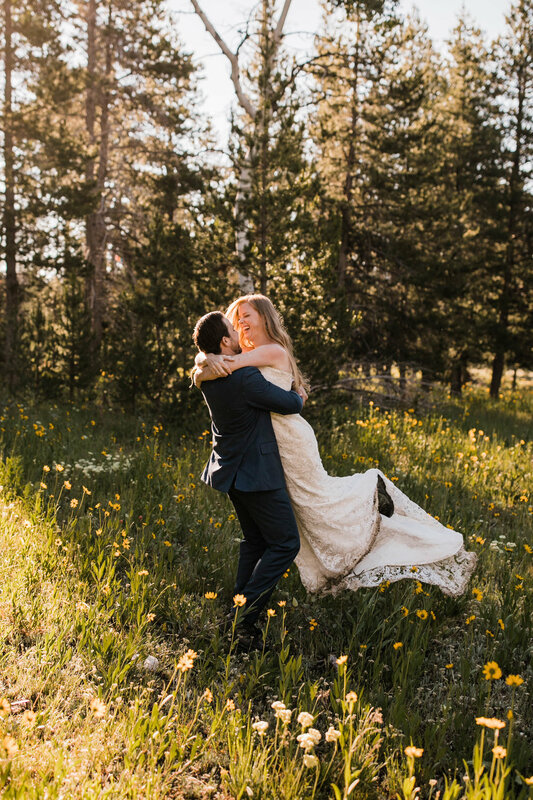 As you’d expect, they share a love of all things outdoors from backpacking, hiking, trail running, rafting, to climbing. They also love exploring new places, wilderness areas, and cultures. 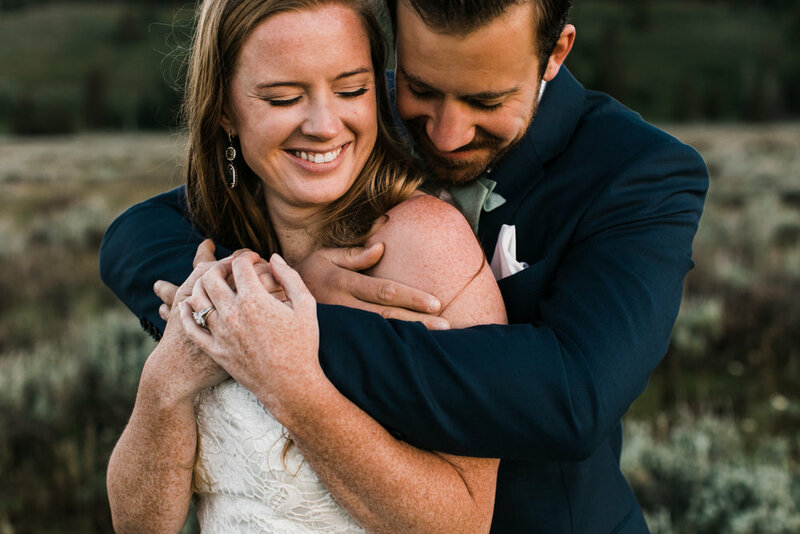 Together, they’ve traveled around the world to Greece, Turkey, Canada, Israel, Jordan, Switzerland, France, Zambia, Zimbabwe, Namibia, South Africa, and even Botswana where David proposed! 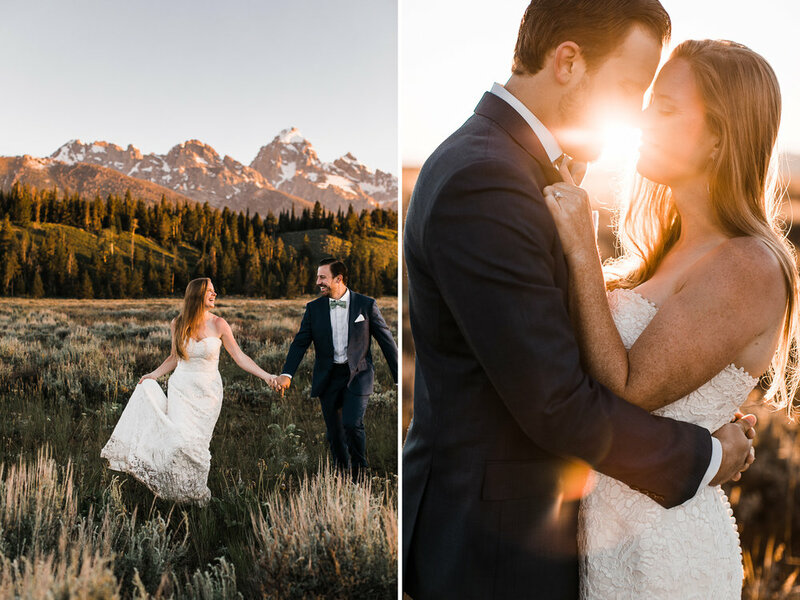 They gathered their people from across the country to Jackson Hole for their wedding and chose to wake up at sunrise a day later for their adventure session with us! 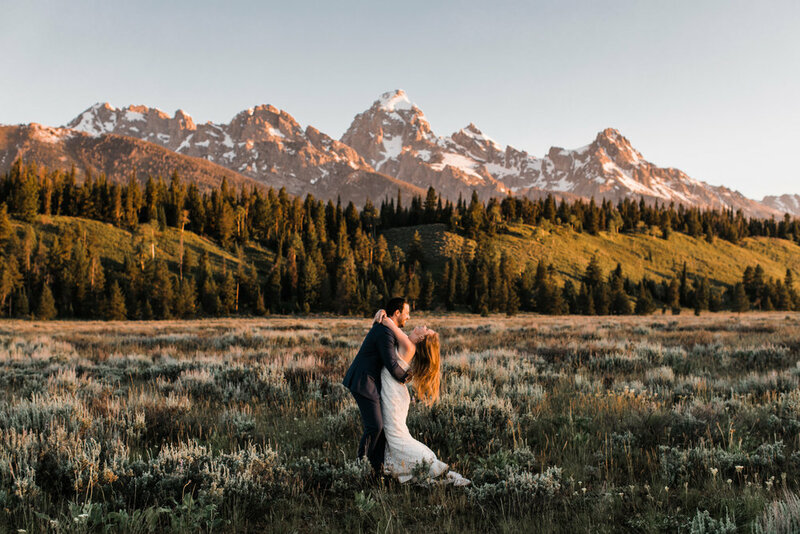 We picked out a quiet spot in the park a little bit off the rod to watch the sunrise alpenglow on the Grand Teton spread to the entire range and eventually warm us up in the dewey field! We hd so much fun embracing the chilly summer morning with them, counting elk and mule deer. After the sun came up, we made our way into the wood in search of aspen and wildflower (both of which were successful) and as the sweetest bonus, a giant moose casually trotted across the road juts 20 feet from us (as we hid behind the van filled with a mix of fear and wonder). 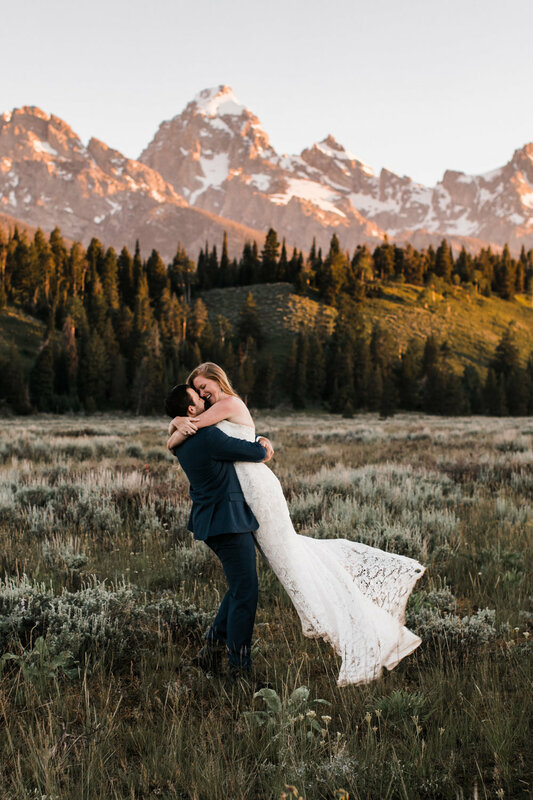 We all agreed the moose must’ve been a wedding gift from the Tetons for these two wildlife lovers. 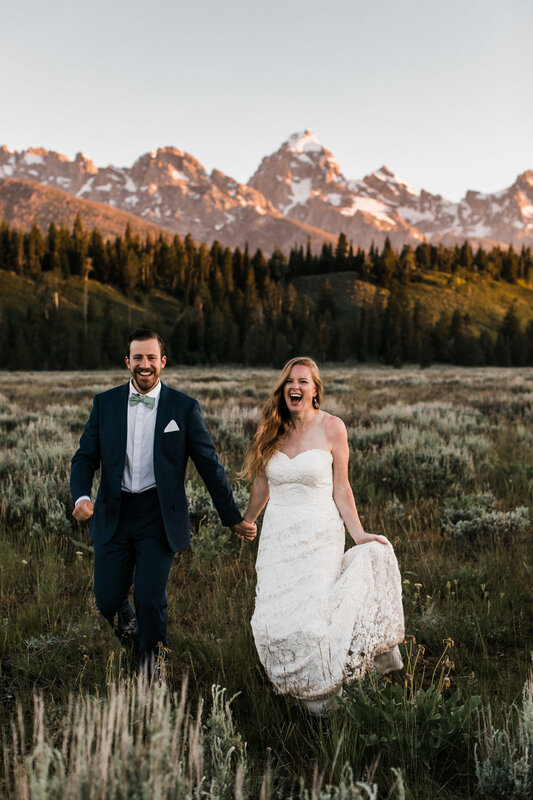 If you like the idea of eloping, but still want a more traditional wedding, doing an adventure session with us in your wedding clothes might be a good option! 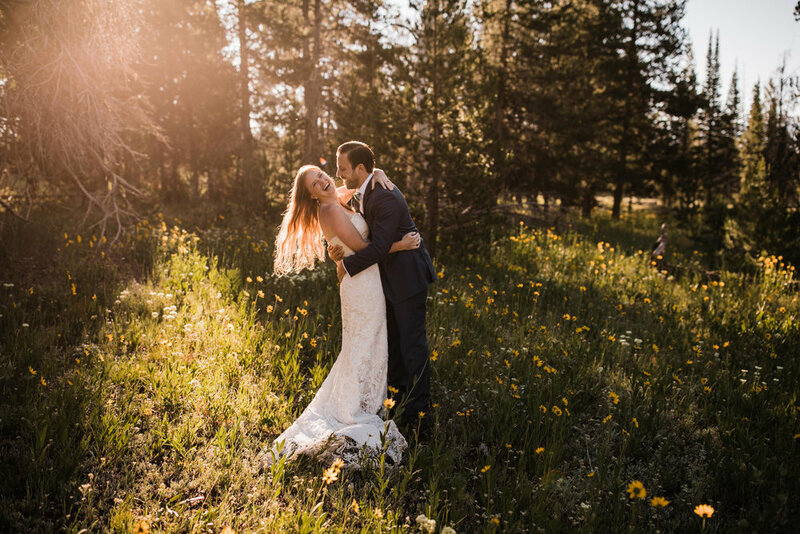 We love when we get to do adventurous wedding portraits for our couples, even if they get married elsewhere! 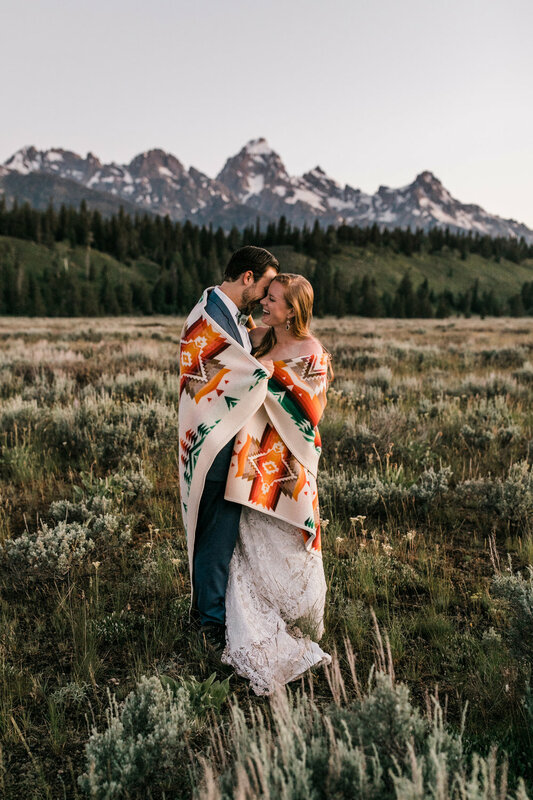 This would be such a fun way to plan an epic honeymoon and get more rad photos in your wedding attire.